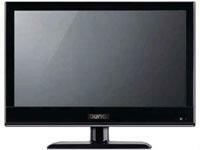 (without stand or speakers) 45.0" x 32.0" x 9.0"
Auria LCD TVs. Bringing value into view. Auria LCD TVs are your affordable alternative to similarly equipped but higher-priced competitors. A simple design and people-friendly features assure a comfortable and entertaining viewing experience.